Dueling claims from Apple’s Asian supply chain. Yesterday, Tapscape brought you a rumor that Apple was pushing up delivery of the iPhone 5 from the expected October time-frame to August, arriving in time for the back to school buying season and stealing Microsoft’s Fall Windows Phone 8 thunder. 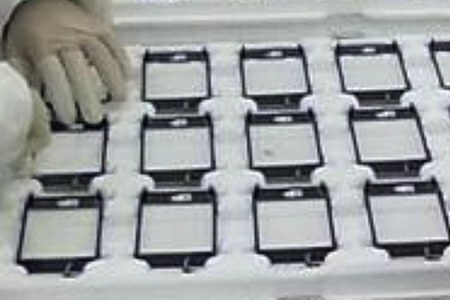 DigiTimes, quoting unnamed supply chain sources, claims that there is no evidence to indicate that iPhone 5 component production will ramp up in July for an iPhone 5 release date in August. Barring that activity, it is perhaps impossible that the next-gen smartphone will arrive that soon. The sources pointed out that if Apple is aiming to launch the new iPhone by the end of August, the company is likely to announce the product in early August, meaning related component shipments should start picking up in July in order to meet the schedule; however, so far, they have not yet seen Apple increase its orders for July. Then again. Nevertheless, DigiTimes points out there is still time for a late August iPhone 5 release date. Expert opinion is divided, though we have no idea which experts are actually speaking. Like the photo above the information coming out Apple’s Asian supply chain is fuzzy, unfocused and unreliable. What’s your take on the iPhone 5 release date?